Wai Lana is an expert of many trades – she is everything anyone dreamed of. She is a yoga icon, author, songwriter, TV show producer and director. She has hosted various yoga shows on TV that have aired internationally on different continents including the Middle East, Australia, Europe, Asia, North and South America. 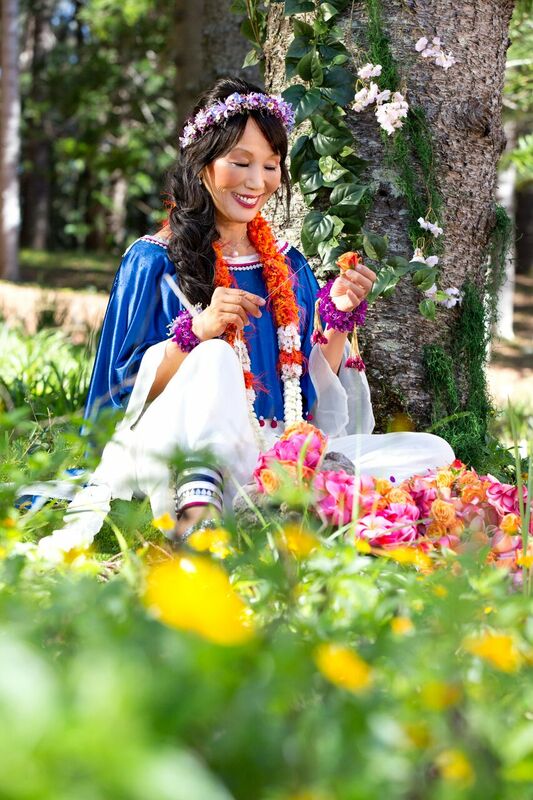 Additionally, the beautiful and charming Wai Lana designs flower garlands and colorful clothes she wears during production. Born in the year of 1955 in Hong Kong (China), Wai Lana is not only a beautiful and charming yoga teacher, but she is also a mother of three, grandmother of six, songwriter, author, and a genuine advocate for helping people from all walks of life attain inner peace and well-being. 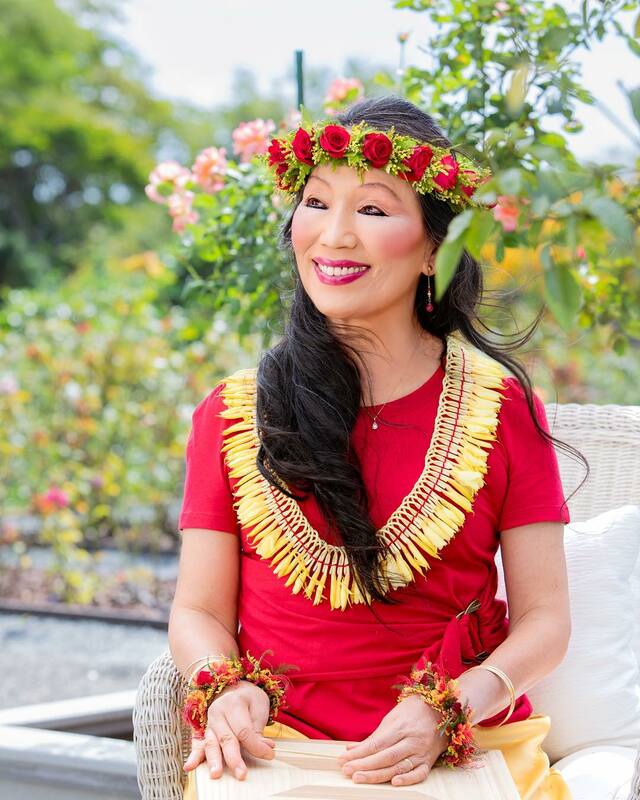 Wai Lana (63 years old) currently lives in the beautiful state of Hawaii in United States of America. More than that, the serene and softhearted Wai Lana is a genuine advocate of her audience’s well-being and inner peace. At least that’s what she is identified for. She is considered a favorite by people of all ages, and from all walks of life. Having produced and hosted television series of yoga instruction, we cannot refute that the grandmother of six has played an essential role in helping popularize yoga globally. With all her music and meditation albums, training materials, yoga DVDs, kids’ yoga products, a line of yoga gear and a range of snacks, Wai Lana is, without a doubt, a world-renowned yoga teacher. This is what has earned her international recognition. Having taught yoga for nearly four decades, Wai Lana is not without great achievements. Her TV Series “Wai Lana Yoga” has aired nationwide for close to two decades now, becoming the longest-running fitness series on national television. The series has helped a huge number of yoga enthusiasts from all walks of life to improve their physical, emotional, and spiritual well-being. In 2016, her effort was recognized nationwide- Wai Lana was honored with India’s Prestigious Padma Shri Award for her extraordinary accomplishments in spreading yoga’s mainstream popularity through her books, television series, and music videos. Wai Lana has released many books for Kids. Now kids can have hours of wholesome fun coloring and playing with their friends! They’ll also improve their problem-solving skills; it will foster creativity and artistic ability, sharpen memory and concentration, nurture their attraction to health and fitness. Wai Lana has also compiled an 85-recipe Juice book named “Wai Lana’s FAVORITE JUICES”. These mouth-watering juices help to lose weight, reduce stress, eliminate toxins, improve your digestion. She has also authored – Wai Lana’s Favorite Soups, Wai Lana’s Little Yogis™ Coloring Book, Wai Lana’s Little Yogis™ Daydream Coloring Book and a few more. Yoga is a holistic intimate package for happy living. Combined with music therapy, yoga can have a significant role in promoting self-confidence, enhancing interpersonal communication and promoting individual well-being. Anyone who has an interest in yoga and enjoys singing or listening to music will tell you the effectiveness of integrating the two. That is what Wai Lana does– make ancient art of yoga easy and effective by incorporating various therapies. One such music therapy is “Oh My Sweet Lord” that she initially wrote as a personal intermediate prayer but has now embellished into a powerful music video. In this powerful video, the yoga teacher welcomes her audience to her inner world – her heart of hearts. She introduces ancient yoga through personal, intimate prayer. Her way of teaching yoga wisdom in this song aims to inspire and empower people to experience and create inner peace in their lives, regardless of age, faith, ability level or individual circumstances. Judging by the first few seconds, you might get tempted to dismiss the music video not knowing that you will soon get sandwiched between the most meditative audio and centering images. Better put, hear a celebration of Divine music within. As soon as the prayer starts, you get amazed by an acoustic guitar driven song with deep, whisper vocals that set you on a Divine journey. Simple relaxing sounds (birds chirping) cultivate a serene and a peaceful atmosphere engulfs your mind. As soon as the video begins, you are treated to an amazing beauty of love overloaded. She is seated outdoor on what seems like a patio overlooking a beautiful flower garden; this creates a calm and peaceful image in your mind to help you recharge. As the song goes by, you quickly forget you are watching a music video and become completely immersed in a profoundly restful state. Regardless, of religion or faith, this captivating music video makes you connect with the Supreme soul, whose all-loving and all-attractive nature is universal. At some point, she slows down the tempo and drops the key to give this one-of-a-kind rendition more gravitas. As the video transitions from an ocean sunset, to moonlit forests, darkness and then to dramatic daybreak, her longing for her Lord intensifies. She sprinkles in mantras about her Sweet Lord while at the same time adding some distant Indian flair. This quickly drives you to the perspective of an individual wanting to connect with the Divine deeply.